● BOAS, Isabela V. What a lead-in should and should not be. Available at: <http://www.richmondshare.com.br/what-a-lead-in-should-and-should-not-be/> Accessed on: Nov. 7th, 2018. ● BRUNER, Jerome. S.; WOOD, David. ; ROSS, Gail. The role of tutoring in problem solving. Journal of child psychology & psychiatry, 17, 1976, p. 89-100. Available at: <https://onlinelibrary.wiley.com/doi/epdf/10.1111/j.1469-7610.1976.tb00381.x> Accessed on: Nov. 9th, 2018. ● Harmer, Jeremy. How to teach English. Harlow: Longman, 2007. Helping adult students become independent in class is not an easy task. They don't usually like being independent. They like to see the teacher at the front. They like taking notes of what teachers say. They like to be told what the next step is. They also like receiving feedback and instruction all the time. Finally, creating and inventing something in class is not in their comfort zone. All these facts are things that EFL teachers deal with on a daily basis when teaching adults. At least I do, and that is precisely why I decided to conduct an experiment with Google Tools for Education to help them be in charge of the class and in charge of their own learning in class. The activities described in the itinerary steps were not as quick for students to do as they should have been. Adults take their time to do things. Unlike kids and teenagers, they don't like making mistakes and they are perfectionists while learning a new language. Therefore, we need to make sure that the steps can be done quickly. Because of this mistake, I could not finish what I had planned for that lesson. 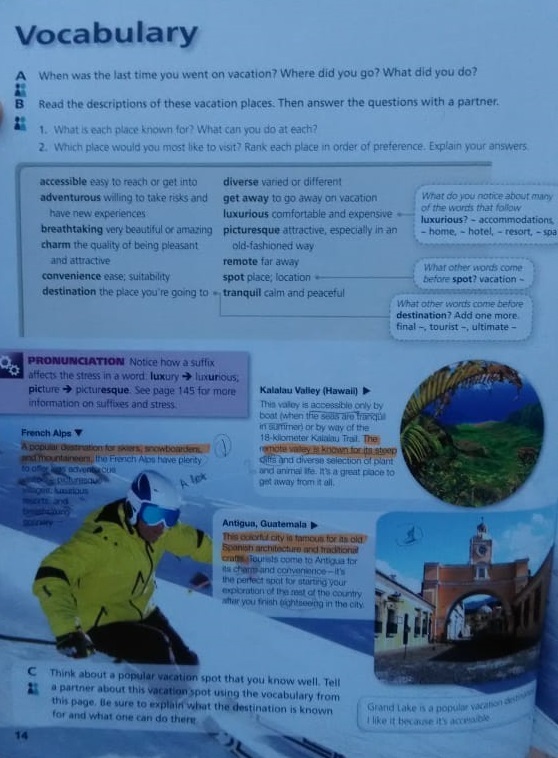 The activities described in the itinerary steps were not always connected to a central theme or topic. Adults are not as spontaneous as kids and teenagers. They are the ones that need scaffolding the most, or else they feel completely lost. For that reason, if there is no connection between one step and the next, they will take twice as long to assimilate what they are supposed to do. I booked the Experience Space and took my students there. When the first students arrived, I asked them to let the others know in their Whatsapp group, since saving time with adult groups is essential. At the Experience Space, I had my students sit in groups and use the ipads I had set up on their tables to access the link bit.ly/fxgroupjourney. This was my class itinerary. The groups went on following the steps, at times together, at times individually. I think something important was the fact that I signalled in the doc the interaction pattern of each activity/step. That made it clear for the students how they were supposed to work. As you can see it yourself by clicking on the link above, the steps were short and made the students stand up, move and sit down at different moments. 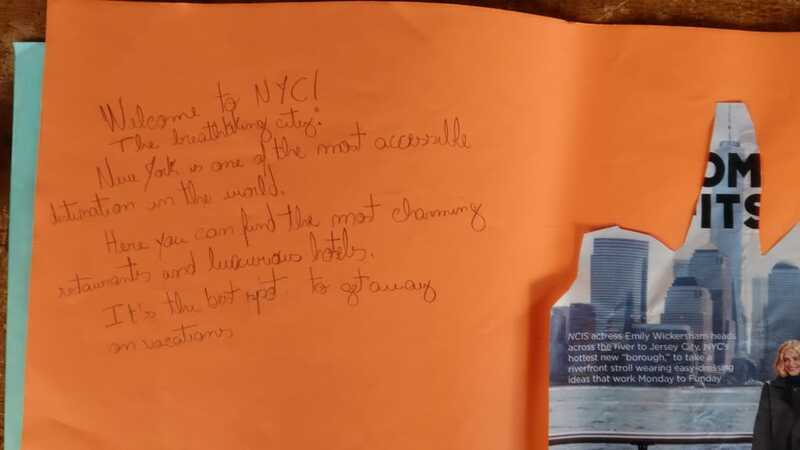 I believe this made the class dynamic and made them feel more connected to its theme: vacation spots. It was funny to see that students would sometimes finish one activity (step) and become inactive. They would finish it and start looking at their phones, waiting for somebody to give them some other instruction. They did this even though I had already told them that they should finish one activity and move on to the next. This has shown me that these students are used to being told what to do. They are also used to a format that does not allow each of them to move at their own pace and harness their own potential. 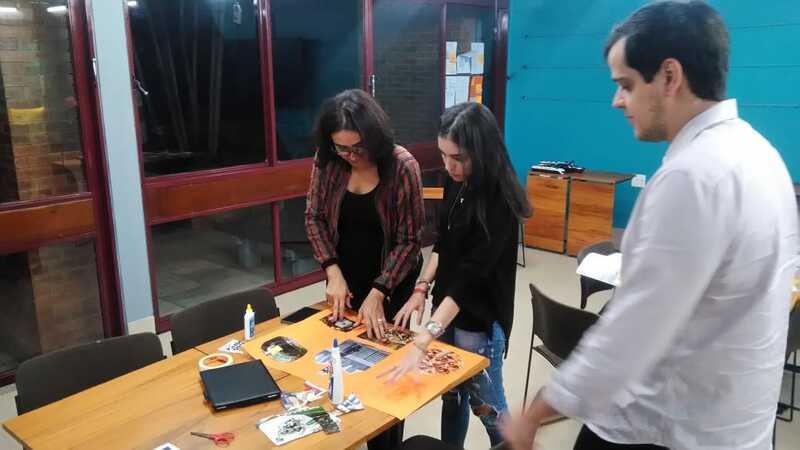 The whole experience reached its climax in the final step: a really hands-on, maker activity in which students had to create their perfect vacation spot, just like the ones they had seen on the slides (step 2). For that one, I selected photos from lots of magazines the Resource Centre staff had and made them available in categories (food, activities, Airbnb spots and places). Each group had to create a poster by combining different photos and creating their own description of their invented place. Being completely honest, what was easy to do about this whole experience? The steps I described in the itinerary and the online resources I created were actually everything you can see on the book page. So, I didn't create anything. I copied it. Still being honest, was there anything difficult to do? Preparing for this class obviously took some time and demanded some manual work. What is my conclusion? Was it worth it? I felt extremely rewarded for having conducted this lesson. I won't lie to you, though. Doing something different has always made me tired, but also happy. It always gives me insights that help me understand my students better and help me become a better teacher. I also think that the core of this class is actually really simple, which means that the same effect can be achieved in different ways. It is not necessary to use tablets and Google Docs. That was just my way to do it. Teachers can get the concept of student-centred classes and be creative. They can stick 'itineraries' on the walls. They can create stations in numerical order. They can do whatever they think will work best for their students. Two reactions from students made me smile. One student, before the class had even started, stepped into the Experience Space, looked around and asked: 'Are we in a bar?'. 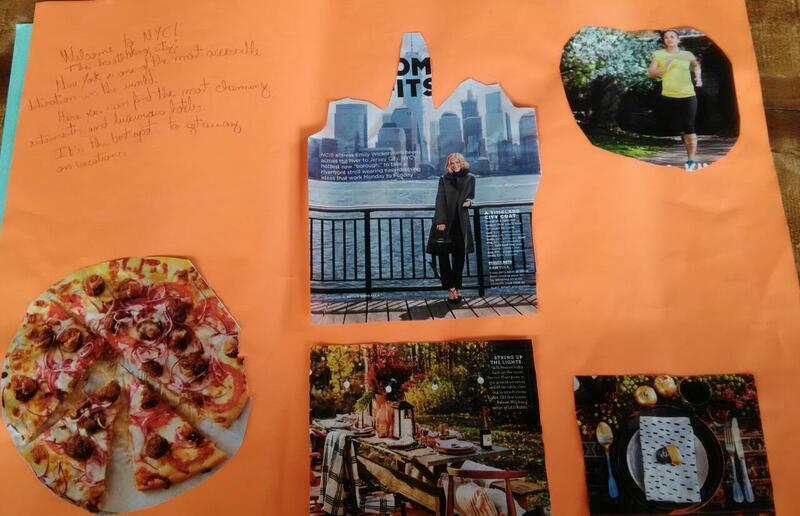 Another one, at the very end of the class, holding the magazine photos and working on her group's poster, looked at me and said: 'I really liked this class'. The title of this post is also going to be the name of a workshop I'm going to give soon. For this workshop, I'd been thinking about so many activities I had done before, but today, however, this one worked so incredibly that I just couldn't give its post some other name. Last night, I was thinking about how I would teach nine-year-olds the lesson found on pages 130 and 131 of Spotlight on English 3 (Thomas Bilíngue 5th grade). You can see the pages in the picture below. It is a writing lesson. They are supposed to write an editorial at the end. I was sure that the best way to allow such young students to learn a little and be engaged in this lesson of mine would be to have them experience the real thing. After all, if writing isn't real, it means nothing to the students. I googled a bit and found this cool website with interesting Google Doc newspaper templates. Then, the idea stroke me. Still in class, as a pre-writing activity, we sat on the floor and I showed them the template I decided to use (the second one on that web page), asking them whether they knew what that was. They looked at it and easily came up with the word "newspaper". We had a chat about what an editorial is and how it must be based on facts, not opinions. Then, I had them do some mind-mapping on a poster with these slips I printed and cut out. 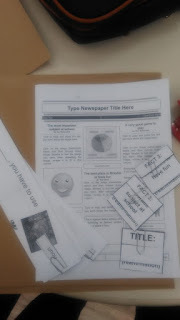 They came up with the name of their newspaper and the facts to support the topics they wrote about. I brought some suggestions of topics and they decided which one they would write about. Once they had their editorial jotted down on their poster, I took them to the Resource Centre at the main branch. 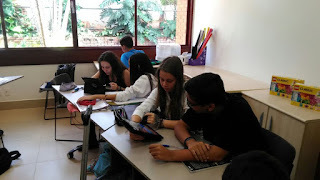 They accessed a shortened link I had made for them to access the collaborative Google Doc (bit.do/tb5editorial) and started working on their editorial columns. They did everything: they chose the name of the newspaper, they wrote their columns, they selected the pictures on it. Please, access the link and see what it looks like now. made something and learned as they made it. produced something unique and in their own pace. got engaged in an authentic and meaningful activity. collaborated with each other by alerting their peers on punctuation and spelling mistakes (21st century skill). had their voice heard by creating something that can be published and read by other people. Now, I'm trying to find a way to have the newspapers printed out so that my students can take a sample home and so that we can also make their work available in the Resource Centre for people to pick and read. This has been my second experience doing it so far, and I like to think about this post as a sort of diary entry. Teaching in Google Classroom almost feels like conducting a workshop where attendees do everything and get to the conclusions by themselves. Since this was the writing lesson, its flow was far better than the one I designed for the review lesson day. It was also far more challenging to do it. I believe this was so because a writing lesson has all its elements and moments converging upon one central idea (or production). 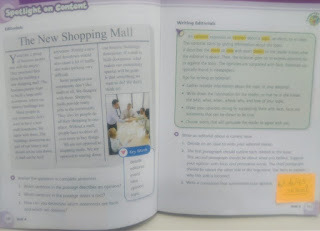 The review lesson, however, is not about learning something new. It's actually only about practising and self-assessing. 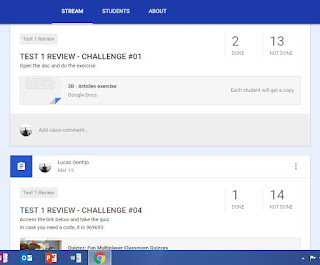 For the review lesson, it was easy to create different and independent tasks inside Google Classroom. They are not connected and that is okay. There is no reason for so. The students still get it. It is the review lesson. They are supposed to practise different activities and do different things. For the writing lesson, on the other hand, connection and scaffolding are essential. There must be a logic and a sensation of closure at the end of it that equips students with the certainty of what they have to do next and the confidence to do it. For all the reasons I listed in my last post for which I would teach in Google Classroom again, I decided to do the same in this writing lesson. It is not only for the sake of doing something different, really. 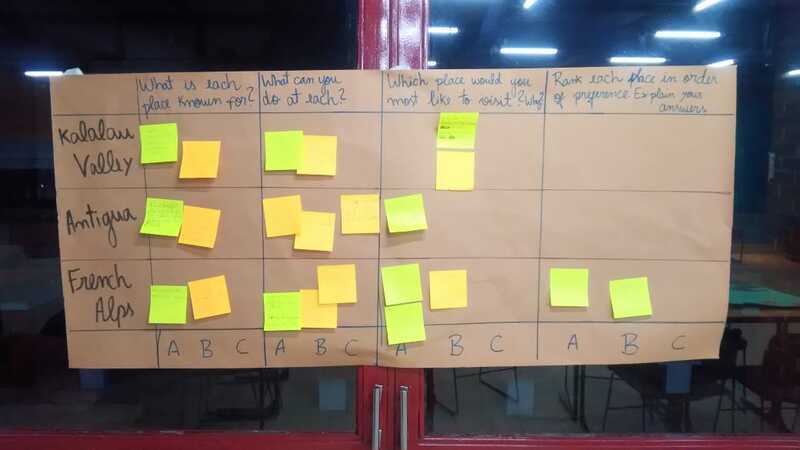 It is honestly because writing lessons have never felt to me as effective as they could be (or could have been), and making students more independent and proactive in such a lesson really seemed promising. How did it go? All students were able to reach task 5. Some students not only finished task 6 but also began writing their first draft in class. There was one student who barely got to task 5 and produced something in it, but this one is usually like this in all lessons. Task 7, however, was actually done two lessons from this one, in which students had to give each other some feedback. Again, the fruits of this lesson could be seen as soon as it started. The truth is that there is so much production and collaboration that has to take place that students have no other choice but take up one challenge after the other and help their partners. Since the teacher is not in the centre of everybody's attention, there are no moments in which some students are waiting for others to finish their activities. Therefore, there are no gaps for students to speak Portuguese or start deviating from the lesson goal. It was time to plan the review class for test 1 of my 3B group. This group of mine has 16 students enrolled and some of them are not as participatory as I'd like them to be. There is the worksheet that we always get in our boxes and which we can use for that particular class. In my head, just as, I believe, in many of my colleagues' heads, this is one of those classes that are usually expected to be exactly the way they have always been: students get the worksheet, they work on it, they compare answers, teacher checks it. It's either this or the other version of assigning it as homework beforehand. This time, however, I wanted to try something new. 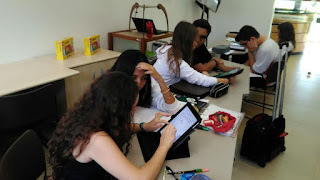 Speaking to Ana Netto, I found out that herself, Bárbara Duarte and Talita Lima had been creating these digital tasks on Drive (forms, docs and quizzes) and had been willing to conduct a review class entirely inside Google Classroom. That's right. In class! So I decided to join them. Why not? Ana shared the stuff they had already put together and I made some other things. In total, they were simple things like editable docs and google forms used as quizzes. 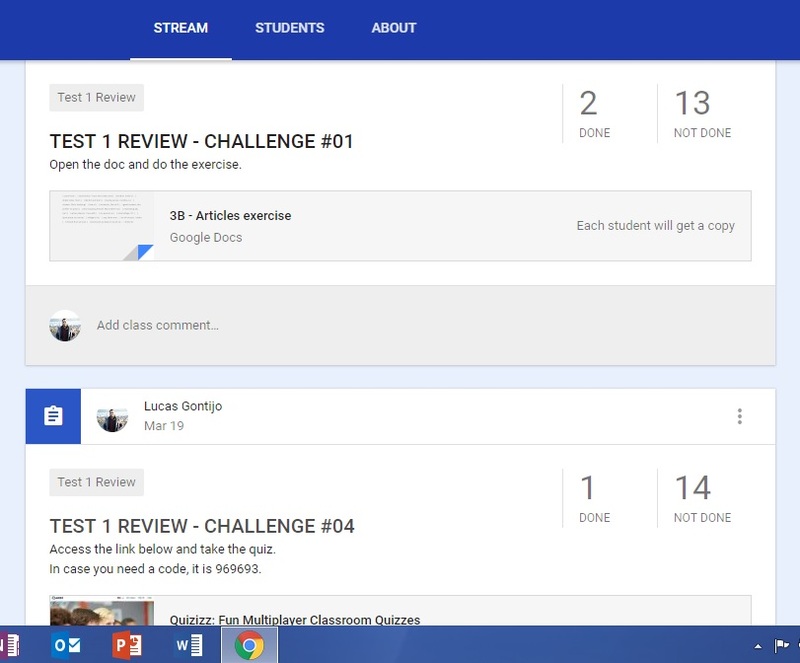 I made these challenges in the form of assignments in Google Classroom and, instead of posting them, I scheduled them to be automatically posted at 2:20 p.m. on the day of the class. This way, my students wouldn't see it before the right time. Once they got to the classroom (the physical one), all these assignments previously scheduled had been posted. 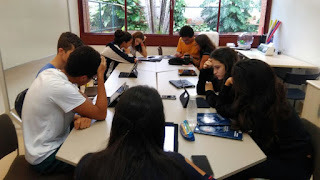 Since many of them have the GC app in their mobiles, they arrived in class intrigued and curious, asking about this bunch of activities that had been posted there. The only thing I told them was "get your notebook and a pencil, and follow me". They all queued up behind me and did so. We went to the room next to the Resource Centre at the Lake Branch, the one with special desks that can be rearranged in any way. There, I had them work in pairs. Each pair shared an ipad. They all accessed our Google Classroom and took up one challenge after the other. Each challenge had been numbered, so they just had to follow the order. As soon as a group had finished a challenge, I would release its answer key for that particular group in the classroom stream tab. The students would go back to the stream tab and check it. Then they would move on to the next challenge. Would I do this again? Definitely yes. Why? The students were not only engaged but also very excited about doing the tasks. At times, they even celebrated for having chosen the right answers when they cheked the answer key. It was a completely self-paced class. Some students moved faster than others and had the chance to do other things at the end and extra activities in the book. I almost didn't feel my own presence in the room. I think the students felt more independent just by being in a different classroom set and teaching approach. By facing challenges, rather than a worksheet, they didn't feel they had to report to me all the time. Because of that, the class was naturally student-centred. I believe my students had a greater sense of importance and urgency in this format than in the traditional one of doing a worksheet. 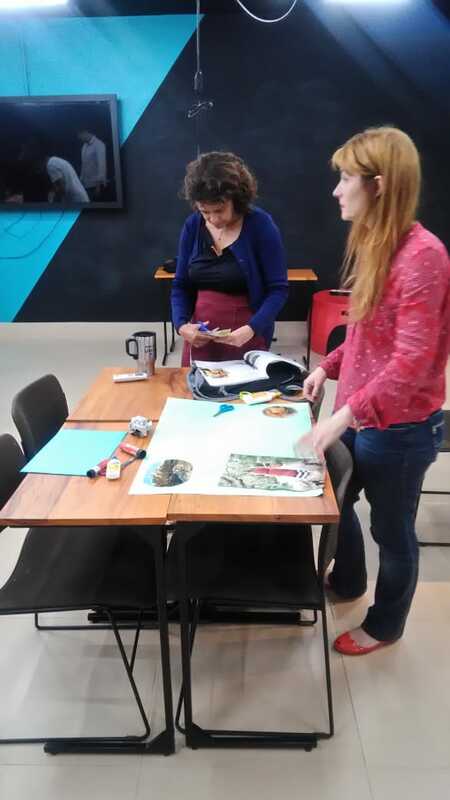 As a result, they developed time management and collaboration skills as they pushed each other towards being more focused in order to finish the tasks. That definitely contrasts with previous experiences in which students would notably show reluctance and disinterest. I felt a way more fulfilled as a professional since I was finally able to help my students build their autonomy and potential in class. 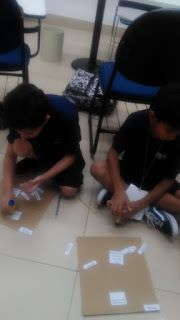 In this experience, the students might never notice what we do: the fact that they don't care as much about getting the answer key after they've done the worksheet as they care about taking up challenges and being able to solve problems by themselves. 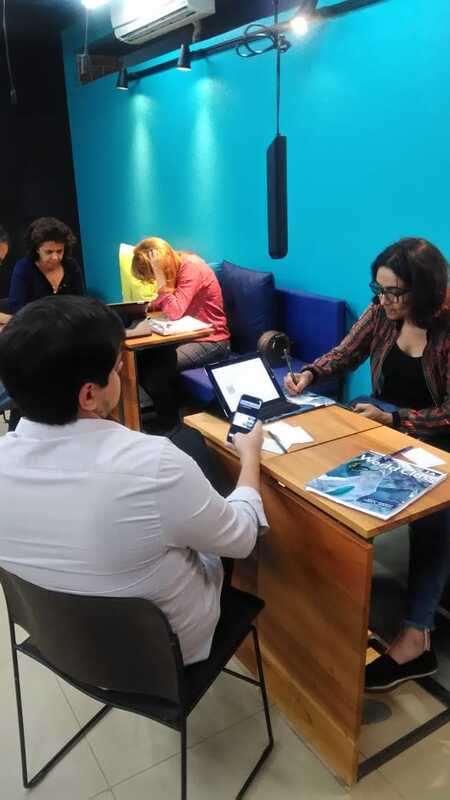 On March 10, we held a ceremony to celebrate the conclusion of the Public School Teachers' Development Program, a course designed and delivered by Casa Thomas Jefferson with a grant from the Regional English Language Office (RELO), U.S. Department of State. We would like to share with you the speech that Ana Paula Alves Torres da Costa gave on behalf of all of her colleagues. It summarizes what these professionals have gained from the program and how they plan to incorporate what they learned into their teaching. We are sure these teachers will have a great impact on their students' lives and we are honored to have had the chance to work with them. First of all, I would like to thank the American Embassy and Casa Thomas Jefferson for the opportunity we all had to know one another, to share experiences and to discuss so many relevant topics concerning our daily routine in our classrooms. It was a great moment in which my colleagues and I were aware of the needs and challenges one may face and discuss some possible solutions concerning the teaching and learning of a foreign language. We sure had a great time together! And we could speak English, above all, and it was amazing! After our initial discussions, which included what the best way of teaching English is, we were constantly challenged through the texts and their reported experiences on teaching English around the world. Thus, all texts presented led to different reflections on our teaching practice. The use of authentic materials, for instance, was something that affected me in the beginning of my career, as I thought it was impossible to use such materials with our students. But you know what? I did not know the word adaptation at that time, so, for a long time, I gave up on using these materials. During PSTDP, however, my colleagues and I had moments of strong reflections about our approaches in some issues. The teaching of vocabulary and grammar, for instance, has challenged us to teach these skills effectively in an inductive way. As a result, many texts were read and we have always looked for alternatives – either listening to one another, listening to other teachers’ suggestions or learning from other teachers’ readings around the world. In addition, our reflections on the use of listening and vocabulary tasks led us to conclude that they provide effective communication and can interfere directly in our students’ interests, motivation and comprehension. The use of vocabulary helps us communicate in a more effective way – it’s the key to communication. That is where it finally led us to the final topic Breaking Habits. A good way to break habits depends on the kinds of activities we plan for our classes. It’s just one of the first steps to challenge our students in different ways. Learning can be fun, but to reach that, we need to go beyond our books. Some of us have tried working with games, songs, group work, comic strips, TV series, you can name it, and it was awesome! Students must identify themselves in the activities and, as a result, get deeply involved in the task. 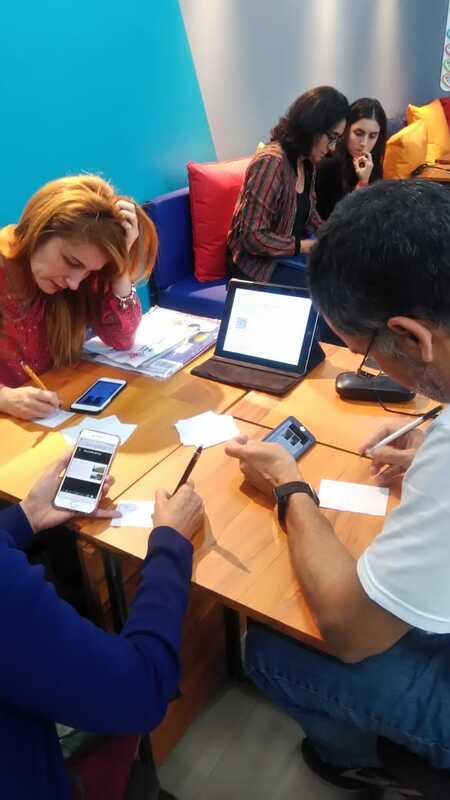 All tasks developed during the course have helped us create alternative tasks to each one’s classroom practice, as we experienced so many times by our teacher’s guidance. I remember the pleasant atmosphere and how much we laughed together. Moments like this make our jobs memorable and rewarding. The PSTDP course certainly represented a way to improve and develop our English practice in order to make us reflective teachers and always willing to grow. Moreover, it helped us identify learning problems and work on our students’ needs. In short, we have learned some important lessons: that all activities can be adapted to any level of instruction; we believe no activity is time consuming; and our students’ aims and motivation will differ and interfere in our daily practice. So, let’s make English meaningful for them! Let’s help them broaden their horizons and possibly show them new ways of life, despite their own reality. It has to do with getting a positive perspective of life and seeking new experiences, right? After all, learning a foreign language can lead our students to a life experience. Finally, we assure our commitment in order to help our students to become critical thinkers so that they can become better citizens and motivate others to do so. Even in good days or bad days, facing troubles or looking for answers, let our students know English has changed our lives and can certainly change theirs! That is certainly a huge challenge, isn’t it? Way to go!